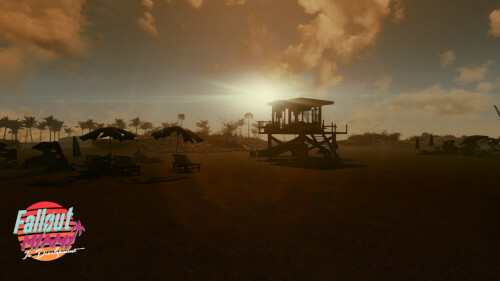 At the end of July, the Fallout Miami project released a fantastic new trailer showing off their "vacation wasteland". Amidst all the excitement BigBizkit and I managed to get an interview with 4 of the key team members on the project to talk about Fallout Miami in more detail. <br /><br />First of all, could you guys give us a little bit of an introduction as to who you are and what your roles are on the team and what you do? <br /><br />K. Constantine: Sure thing. 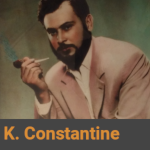 I’m K. Constantine the lead writer on Fallout Miami and these days also the co-lead and kind of a creative director of sorts. *I am also the guy who has to pester everyone with lore. 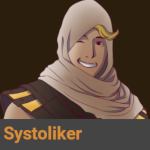 <br /><br />Systoliker: I am Systoliker lead programmer of the Fallout Miami team and I mostly work on new game systems and quest scripting and stuff like that. 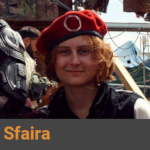 <br /><br />Sfaira: I’m Sfaira the lead of the 2D department and also a concept artist. 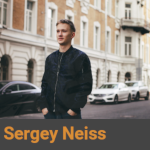 <br /><br />Sergey Neiss: I'm Sergey, composer and audio department lead - so I supervise the creation of the soundtrack and sound effects. <br /><br />Thank you all for joining us today. Your most recent trailer has been viewed over 5 million times on YouTube and your project has attracted a lot of attention already. So, for those of you who are not yet aware: how would you describe what Fallout Miami is? <br /><br />K. Constantine: So, Fallout Miami is a DLC-sized mod - that is how we have been describing it. It is essentially what it says on the tin. It is going to function similarly to how the official DLC packs for Fallout 4 work. It is a brand new adventure for the "Sole Survivor", so we are taking your existing character down to the post-nuclear vacation wasteland. You’ll have a brand new adventure. <br /><br /><br />Fallout Miami has been in development for quite a while now, but let’s go back to the very beginning and ask the question: how did it all get started? <br />K. Constantine: It probably all began with Mika999 who is known for Shard of Oblivion and the “A better” series for Fallout 4. 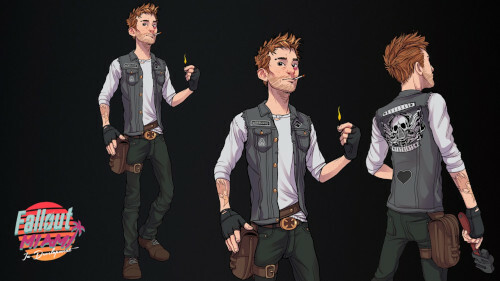 He originally started work alone on the world space for Fallout Miami and eventually decided that “hey, this thing is starting to look kinda nice, maybe some people would be interested in writing a script, building some systems and making some assets for it” and it started growing from there. And now it is this large scale, DLC-sized project with almost 100 people involved in it. <br /><br /><br />So, without spoiling too much what can you tell us about the overarching plot of the story you are telling in Fallout Miami? <br />K. Constantine: So, what we have been saying so far is that Fallout Miami as a story, especially in the main quest, is intended to explore the conflict between order and freedom. This is something that has been part of the Fallout series since Fallout 2 and is sort of a classic conflict that has been present in the past. So far this is kind of expressed in the faction wars and it is something that you might see in New Vegas. So, of course, we have the ideals of order and freedom represented by factions and the player can join these factions and side with them and influence how the main quest plays out and influence the vacation wasteland itself. In general, it is definitely sort of an ideological thing, it is very faction-oriented and it is all about player choice. <br /><br /><br />Alright, interesting. What made you choose Miami as the main setting? <br /><br />K. Constantine: There are a lot of things going for it. But the main thing is how unique it is. When you think of Americana, there are plenty of sides to*it, many places in the US really stand out with their own kind of vibe, with tangible, real aesthetics. Vegas is one example of that - that is why New Vegas is instantly recognizable. DC, The Capital Wasteland - same thing there. Miami is certainly one of those and it is a real shame that it wasn’t explored until now. You got palm trees, got the beach, the ocean - these are all really interesting, visual things that really lend themselves to a kind of memorable landscape and location for the player to explore and have an adventure in. It really seemed like an obvious choice. <br /><br />It definitely seems like something quite new and exciting. 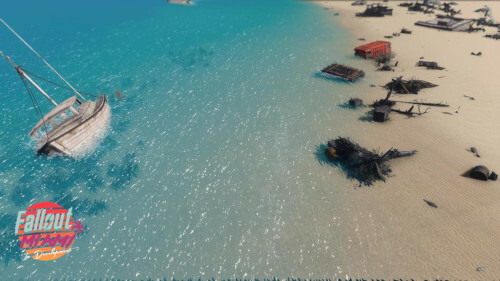 So, the city of Miami in the real world has some famous landmarks such as the Freedom Tower and Stiltsville - will we be able to visit any of these places in the game? <br /><br />K. Constantine: Not those particular ones you mentioned given that our map takes place in southern Miami Beach - it is kind of a close-ish recreation of it. We have taken some creative liberties, abstracted certain things and incorporated some locations from the mainland portion of Miami into Miami Beach to make it a more fully fleshed out experience. Because it cannot just be hotels and nightclubs it also has to have some civic buildings. So, you will definitely see some familiar locations, we are actually doing a lot of research and have already incorporated some real places. Eagle-eyed players have already identified the Holocaust Memorial in Miami Beach. We're working hard to make sure that interesting places players expect to find are present, like the Fontainebleau Hotel, and other really recognizable locations. <br /><br /><br />In the trailer, we see Vault 53 which is a vault that exists in Fallout lore and is a Vault-Tec experiment where everything is designed to break down every few months. Are you sticking with this theme or will it have a different purpose in Fallout Miami? <br /><br />K. Constantine: Vault 53 - I am so happy that we are able to go with that vault. Actually, it was sort of the reverse: we did not select the vault for Miami, we selected the vault based on a design of a companion - Kelsey James. We are definitely sticking to the “established canon” for it. This comes from the Fallout Bible so its canonicity as far as the Bethesda Softworks lore is concerned, it isn’t exactly super established, but we are trying to respect both the new stuff from Fallout 3 & 4 and the old stuff from Fallout Bible, Fallout 1 & 2, Fallout Tactics Even taking some inspiration from the canceled Fallout Tactics 2. So as far as Vault 53 is concerned, Vault Tec’s experiment is there, it is present, everything breaks down every couple of months. We have added a slight twist to it, where the breakdowns become increasingly severe over time and now 200 years after the apocalypse things are kind of dire in the vault and so the player is gonna come in at a really, really deciding time. <br /><br />We're definitely looking forward to that. Are there any interesting or unique mechanics in your project that we have not seen before in a Fallout base game? <br /><br />Systoliker: Yes there are. I worked on them myself. For example, something that is inspired by Skyrim: the crime system, where the player can be locked up in jail and stuff like that. Of course, there will be more, but I don’t want to spoil it because it is still in the works [and intended as a surprise]. <br /><br /><br />What you're saying though is that there will definitely be more unique mechanics that you are adding? <br /><br />Systoliker:*Yes, of course. The thing is with Nuka World there came a lot of new systems with the Raider stuff and similar things. So it is logical when we say we want to create a DLC sized mod that it means we will introduce new game mechanics as well. <br /><br />K. Constantine: And they also really, really fit the narrative context and have like a basic fictional style. So it is all kind of integrated into the player experience. <br /><br /><br />A huge part of the mood and atmosphere of any setting is typically the music and ambient tracks etc. Can you tell us a bit about that and anything you might have taken inspiration from? <br /><br />So, what we are trying to achieve as a team is to combine the styles of the Fallout soundtracks that came before us, so Mark Morgan and Zur. And to also bring something new to the table, so the distinctive musical style of Miami. <br /><br />K. Constantine: Just to add to that a little bit, especially when it comes to the more modern, 80s inspirations. When it comes to tone in general for Fallout Miami. I like to describe it as a cocktail that is two parts 1950s, one part 1960s, with a dash of 80s. So, definitely the synth and vapour elements those would be there as a spice, as colour, but they won’t be the main event of the soundtrack. We are very much making a Fallout game with a Fallout experience, we are definitely not making something that is like a synthwave neon adventure - no, that is there as a colour or spice, but it’s just that. It is just there to add a little bit of Miami flavour, add a little bit of uniqueness. <br /><br />Sergey Neiss: Just to add to that: We have certain soundtracks already on our YouTube channel - you can definitely check them out. We have a really dedicated team of really awesome and talented composers and sound effects artists working on the sound aspect of the game. So, you can definitely expect good stuff coming. <br /><br />Such a large-scale project, obviously, requires a dedicated team and a lot of planning and structure. How do you guys stay organised and manage the workflow from concept art, textures, and sound design through to the actual implementation of levels and quests? <br /><br />It is worth mentioning in our workflow and organisation that there are two types of tasks: Some of them require cooperation with the writing team from start to finish - so they have very detailed instructions and the writers are present during the designing process all the time - and they take longer. That might be unexpected because more instructions mean you know what to do but it takes longer because the requirements are higher, so there are more changes needed to meet what the writers want from us artists. <br /><br />The other type of tasks are the ones that give us bigger artistic freedom - where there’s only general direction where we should go. Most of the time when artists come up with an idea it is accepted fast by like the first or second approach, sometimes those allow us to skip some parts of the process and for example create an asset right away without the concept art stage. <br /><br />Systoliker: Yes, and also for me for example, it is mostly that someone comes up and asks “Do you think you or your department can make that work?” then I most of the time will say “Yeah, we’ll try.” After we create it, I’ll talk with Constantine and if he says “Oh, that sounds quite nice” I will start writing some dialogue and quests. Then I will tell Sergey what we have and he may say “We need music for it”. It’s mostly that we talk a lot together and because of that, we have a good workflow with all these things. 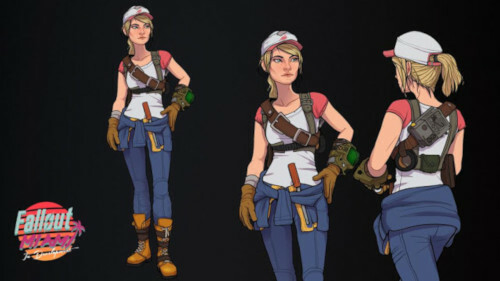 <br /><br />Sfaira: All the departments are connected, so people who work with 3D often come to give feedback on concept art as well, we need the cooperation to be close because everything is connected from start to finish. <br /><br />K. Constantine: And just to add a little bit more to the organisational side of the question - The team is quite large, we’ve certainly had over 100 people contribute, and as far as active members it’s kind of close to that number. We've decided on a somewhat decentralised department structure, where there’s constant cooperation between the different departments, but within them generally, it’s the responsibility of that specific department how tasks are completed, how tasks*are logged and when meetings are scheduled. We have this process in place because we also want everyone to have fun - so it’s not all autocratic all the time, there’s no dictator telling people “We need to have this done by tomorrow” You certainly need a bit of that if you want to actually to accomplish things and we do sometimes crunch especially when it comes to monthly updates we definitely will have certain assets or concepts finished so we can present them to fans and people who are generally interested in the project. But it’s also definitely something that is organised in a way that allows a large group of hobbyists to work together in an efficient manner to get things done. <br /><br /><br />You mentioned a loose structure that has over 100 people, but can people still join the team? Is there an application process? <br /><br />Sfaira: It’s worth mentioning right now we have closed the recruitment for concept art because there were many applications and we already have quite a big team of very talented artists. But it will probably be open again in future as people have different activity and sometimes we need someone for a particular task. <br /><br />What is it that you guys would say you have learned during the entire development process? Do you have any plans to branch out into the development of a full game after this project is complete? <br /><br />K. Constantine: Okay so this is a question I can probably talk on for hours, but I’ll try to just hit on the one really big note that’s kind of important for projects like this. So it’s a large number of creative individuals coming together, it’s bound that conflict will happen. People don’t always agree on ideas, theme and so on. They key thing to remember when that happens is you can use that as inspiration - you can create art from adversity - and that’s something that has happened in this project several times and it’s created some really, really beautiful concepts for various things in the lore that I’m quite happy with. I’m sure the fans will enjoy it. And yeah, basically if you get together with people and you have a creative conflict, try to use that to make something even more beautiful. <br /><br />When it comes to the second part of the question about whether we’re planning maybe taking this forward, going indie and making something a little more substantial than a mod for an existing video game... there have been murmurings within the team, certain individuals have definitely expressed an interest in doing that, and I would say that it’s 100% a possibility. <br /><br />Sfaira: On a personal note, I really made great progress working as a concept artist here for the team because the amount challenges and subjects I have never drawn before is amazing. It’s really great. So that’s the thing that helps us to develop for further work in the industry, for example. <br /><br /><br />Lastly - seeing how you guys are very involved in modding and a large project - do you have any practical tips for anyone who wants to take up modding or start or join a massive project like Fallout Miami? <br /><br />Systoliker: So I can start with myself. I started modding because a friend of mine had broken his game I promised I would try to fix it and I did. My advice would be if you have an idea just try to do it. For Creation Kit, for example, there are so many tutorials and stuff like that you can find on the internet. Don’t give up. Try. That would be my advice. <br /><br />Sfaira: And also, have courage. For the people who want to join such a big project - Fallout Miami is my first project on such a scale. So a big community and a big organisation. So my advice is to have courage and not be scared because we’re not that strict and demanding like I was afraid it would be at the beginning. It’s amazing, it’s like a great group of friends with a hobby doing something great. <br /><br />Systoliker: I would also say, just try to create something really small at the start. Then apply to Fallout Miami [chuckles], because I can say, for myself again, I joined the Beyond Skyrim team last year and I learnt so many new things because there were other people who were in modding for 5 or more years. They were ready to share their experience and help me out so it’s even better to start in big projects because you can learn from other people. <br /><br />K. Constantine: So I’ll be a little more general. This also applies to things outside of modding - “think less, do more” - Just figure out what you’re interested in, what you find fun, what you’re good at and start working towards it on a smaller project, get in touch with larger teams. Get in touch with us! We’re going to be around for a little while. But definitely, the easiest and best way to get into anything is to hunker down and get to it. You don’t get anywhere without effort. <br /><br />Alright, I think that’s some amazing advice. Thank you guys for taking the time out of your day to talk with us. We’re very much looking forward to Fallout Miami and the vacation wasteland! <br /><br />A big thank you to Fallout: Miami for taking the time to speak to us! If you're interested in becoming part of Fallout Miami's team, follow*the link below.